There are 400 districts, 1,835 public schools, and 72 charter schools in Massachusetts serving 953,369 students. 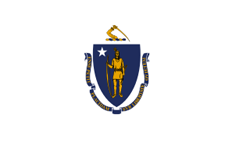 Financially the state of Massachusetts spends approximately $16,071 per student. There are 69,342 full-time teachers receiving a total of $5,644,823,264 in salaries and $2,247,971,266 in total benefits. 288,790 students receive a free lunch and 45,721 receive a reduced-price lunch.